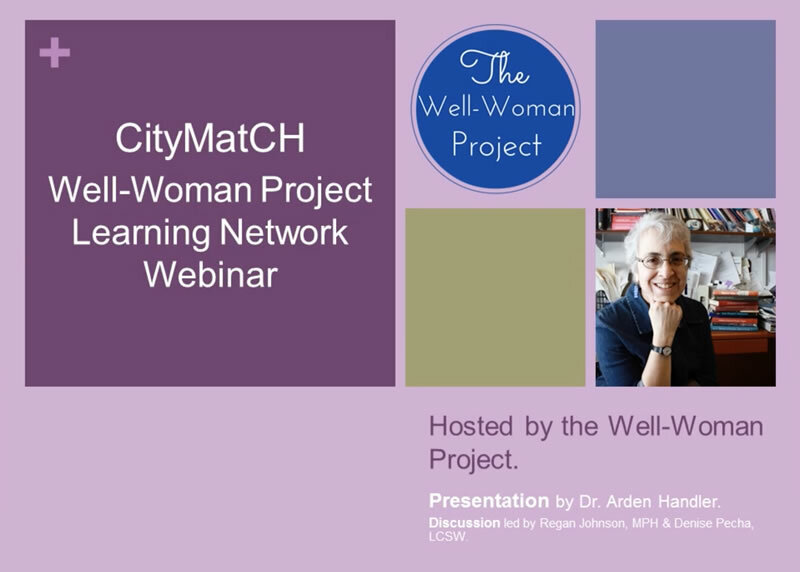 This presentation by Arden Handler, DrPH, Director of the Center of Excellence in Maternal and Child Health and Professor in the Community Health Sciences division of the University of Illinois at Chicago School of Public Health, outlines the background and objectives of the project and details of the project themes, including themes that arose in specific cities. It concludes with a discussion led by Regan Johnson, MPH, and Denise Pecha, LCSW, of CityMatCH. Click below to watch highlights from the session.